Innovation is a must have for companies today and work with the product mindset. 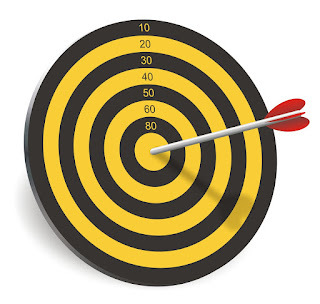 Given the digital transformation, we live in, having a product mindset is more than delivering software but it is empowering teams and working with OKR-based management models that focus on Business Objectives rather than what teams have to do. Development teams are motivated by challenges and they should have the freedom to make choices. But these choices can often have a very high cost for the business and low return. Cloud usage is certainly a great disruptive force for all digital businesses. There are many ways to architect Cloud-Native solutions (get the most out of cloud) often for a short-term view many companies are opting for Managed Services solution. These solutions, which are often database solutions, but not limited to the database, give a lot of speed for software development but bring two major problems in the long run. Kubernetes has lots of concepts. It's easy to get lost in the middle of all core concept the project has. However, all these abstractions provide a great benefit which is the standard spec for different kinds of services and workloads. IF cloud providers were born with a common spec/API, we would not be talking about this subject now a day, unfortunately, this is not the reality. Today I want to share a simple presentation I made trying to explain the many concepts present in kubernetes and how they differentiate between each other like what's the difference of a Secret vs ConfigMap or how ReplicateSet is different compared with a Deployment. Also, cover what kinds of service are available and when to use ClusterIP vs Loadbalancer for instance. You will also see GitOps model, which the standard k8s way to work in production. Besides all network overhead, Istio offers very interesting trade-off for sacrificing latency and network overhead for developer productivity and stack independence. In previous posts, I blogged a lot about kubernetes, Istio, Aws, Kops, Eksctl and EKS. Today I will show how to run Istio in AWS using EKS. Keep in mind EKS don't support Alpha* Specs right now(v1,v2 or v3) so some demos from the istio best selection of slideware won't work. But is possible to have istio installed and booking app running. EKS is the new AWS managed Service for Kubernetes launched at last Re-Invent 2018. EKS is not available in all regions right now. EKS an option for those who don't want to use KOPS. For this blog post, I will show how to easily set up a kubernetes cluster in AWS using EKS. EKS has some benefits, first of all, is a managed service that you are not locked in since the API is kubernetes based so you can easily migrate to other kubernetes installation or even other kubernetes installation in other cloud vendor or on-premises. In previous posts, I show how to run Istio in Minikube and with Docker-Compose/Consul in local env, today I will show how to run on AWS using KOPS. This installation is Linux based(Ubuntu), I'm running all commands from my local-desktop, if you don't use Linux(shame on you) you can create a virtual-machine on AWS with ubuntu and run this commands there, also is possible to run Vagrant with Linux and them run this commands on Vagrant box as well. 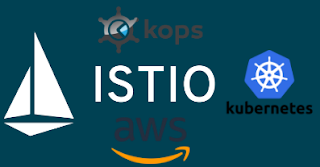 Istio runs smoothly in AWS with Kops. You don't need much, pretty much 3 machines(1 master node, 2 minions). Keep in mind this is not a production-grade setup, for production, you should be running with 3 masters at least for High Availability. Kops is the best way to have Kubernetes running in AWS. Kops allow us to install kubernetes in EC2. Kops is written in Go. 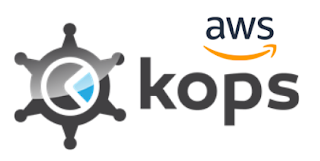 Kops helps us to create, update, maintain and destroy kubernetes clusters on aws. Kops also supports GCP(Google Could Platform). Kops has some interesting ability to generate terraform files if that's your you thing :-). 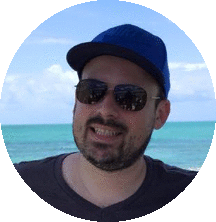 For this blog post, we will be using AWS ELB as DNS so we won't be using public DNS records which are done by setting carefully the name of the cluster - which need to end with .k8s.local. Right now is way faster to spin up a kubernetes cluster with Kops rather than EKS. In my previous post, I showed how o install and run istio locally with minikube. However, if you don't have 8GB of ram FREE it might not be a good FIT for you. Today I want to show a lightweight approach for a local environment where we can run Istio with Docker, Docker-Compose, and Consul. I will be doing more posts about istio, this week, talking about how to run Istio on AWS for instance. But going back to this post. In order to have this solution working in your machine you have some pre-requirements such as: have docker installed, docker-compose installed and kubectl installed. 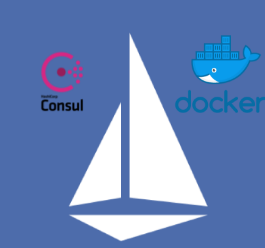 Running with consult and docker-compose is way easier than running with minikube/kubernetes however you are not as close as the production topology. For istio, we will be using istio version 1.0.5 Let's get started!